Happy Sunday my friends! Today I'm recognizing things that take some time, but make me smile nonetheless. 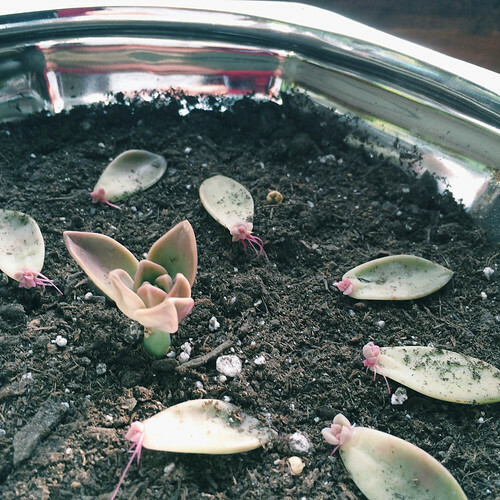 Above is a picture of my growing succulents from my first attempt at propagating. I started them several weeks ago and have been having so much fun watching their progress! 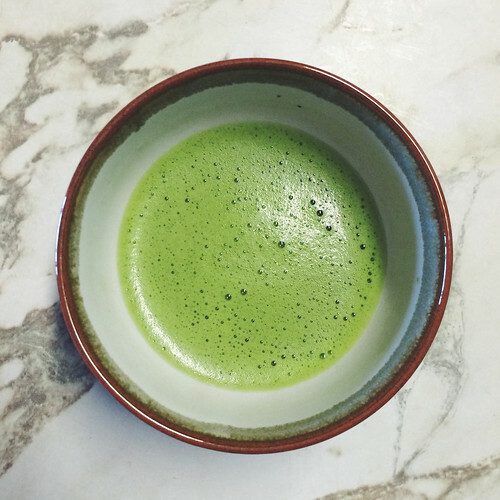 I've also been enjoying making and drinking matcha everyday. It's a little bit more of a process, involving pre-warming the bowl, sifting the tea powder, getting water to the proper temperature, and whisking the powder in the water with a special whisk, but it's so worth it! Perhaps it's the time invested that makes it all so special and smile-worthy! Can you relate?